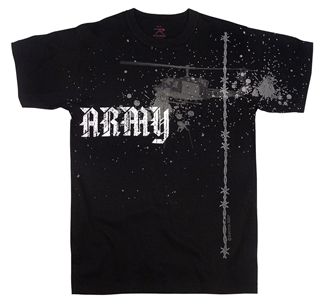 Rothco's Vintage Army Helicopter T-Shirts feature a super soft, washed Cotton / Polyester material for an authentic vintage feel. Printed "Army" with a silhouette of a helicopter in the background with a string of barbed wire down the side. These tee's feature a tagless label for added comfort. Available in black or brown.